You’d expect fresh seafood from an island in the middle of the Pacific Ocean, and rightly so. Hawaii is world-famous for it’s diverse marine life and abundant seafood restaurants. Nico’s at Pier 38 Restaurant and Fish Market is no exception, they’ve been serving up fresh fish with distinct flavors since 2004. What started as a small local lunch spot by the docks has evolved into a 160-seat open-air restaurant with a full bar and an adjoining fish market that now includes dinner service. 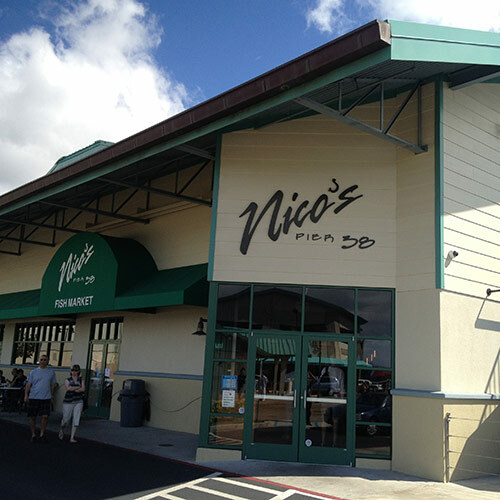 When you first walk into Nico’s, you’ll be greeted with an open, bustling atmosphere. Next to the main entrance is a central cashier. Upon ordering, you are presented with a buzzer and instructed to retrieve your plate from the food pickup area. Seating is open, so we’d suggest having one person stake out a table while the other group members make the order. 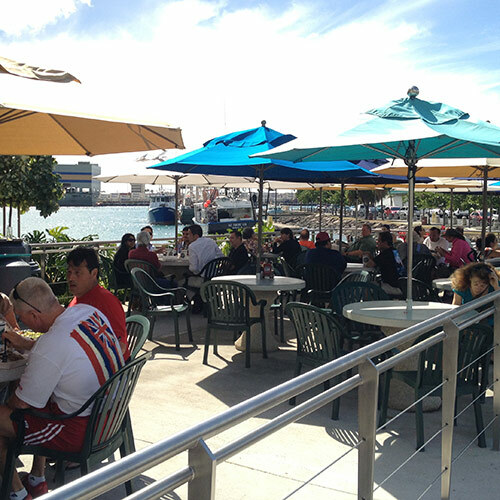 There is a large indoor seating area and an outdoor seating area overlooking the harbor. 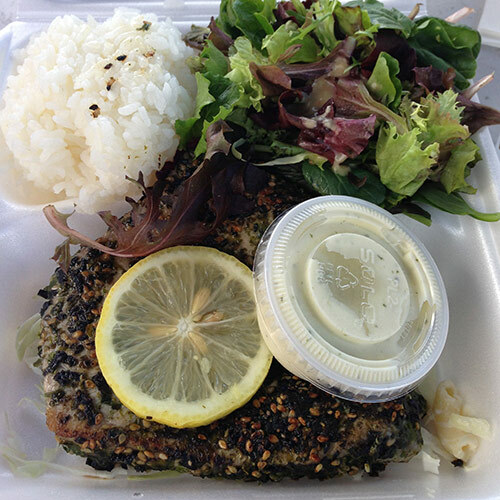 Two of Nico’s most well-known plates are the “Fried Ahi Belly” and the “Furikake Pan Seared Ahi”. 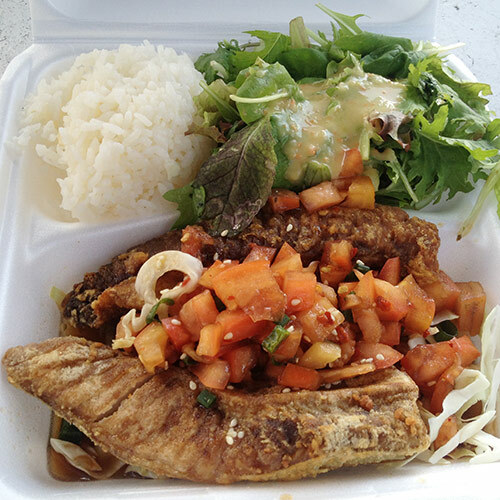 The Fried Ahi Belly is heavenly, consisting of the tuna’s fatty under belly steaks, quickly deep-fried and topped with a tomato salsa with a slight kick. The Furikake Pan Seared Ahi makes use of a Japanese seasoning furikake, or dried seaweed flakes and sesame seeds, giving the ahi steak a nice crust and a burst of flavor in each bite. The ahi steaks are cooked to order from rare to well-done and served with a homemade ginger garlic cilantro dip. For the those that are not big fans of seafood but are looking for some good local food, Nico’s has you covered as well. Choose from local favorites like the grilled pork chops or the “Loco Moco”, heaping scoop of rice, topped with a hamburger patty, gravy and an over-easy egg. The Hawaiian Plate is a must-try and not for the less-than-famished. This massive plate consists of laulau,kalua pig, lomi salmon, rice and poi. Other menu items of note are the 12” inch pizzas and the sandwich selection. If you’re stopping by for dinner, check out their pupu (appetizer) menu from 5-9pm. Choose from great seafood selections like the sashimi platter, poke sampler (raw fish, cubed and tossed with sesame oil) and fresh raw oysters. Also on the menu are the truffle fries (win) and the spicy edamame (soy beans). In addition to the lunch menu, Nico’s adds pasta, bouillabaisse, and a number of other tasty seafood dishes to the mix. 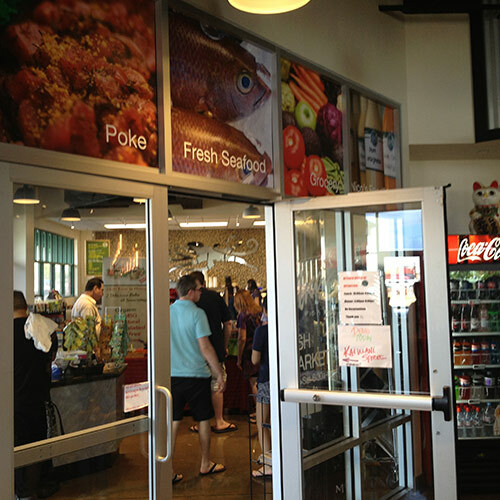 Next to the restaurant, Nico’s has a small fish market with wild-caught fish and a large poke bar. They also have a few of their restaurant dishes packed up and ready for takeout. Best of all, they ship the food to a number of destinations. All in all, Nico’s is known for it’s fresh fish but surprises with the it’s diversity. Check them out next time you’re visiting the island of Oahu. Airport-Hotel Express Shuttle Service – Honolulu, Kahului, Lihue and Kona! Island Feet are happy feet! Orthotic footwear - SHOP NOW! Life Vest/Flotation Device Rentals for $5!